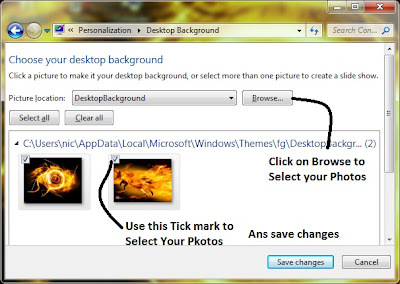 Now your Windows 7 Theme is ready ,but remember it is saved as Unknown Theme , To give a name to that theme Right Click on it and select Save Theme. And Name it . That’s it . Why are you Waiting Create your Own Theme with your Favorite Characters.